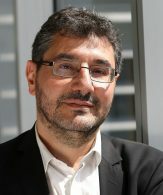 Richard Levy (MD, PhD) is professor of neurology, head of the neurology department of Saint-Antoine University hospital, director of a research lab focused on the functions of the prefrontal cortex in human (the FRONTlab) at the Brain and Spine Institute (ICM) at La Salpêtrière hospital (Paris, France). He is also co-leader of the program called “Behavior and Motivation”, sponsored by the IHU-A-ICM, which aims are to develop clinical, research and educational programs in the field of behavioral neurology and cognitive neuroscience. In this framework, R. Levy has built with psychiatrist colleagues, a clinical unit of behavioral neurology at la Salpêtrière hospital, dedicated to patients with medical problems at the crossroad of neurology and psychiatry. Behavior, cognition and translation to clinic.